NEW ARRIVAL AT BOYLES AUTO, CLEAN CAR FAX, 2011 CHEVY SILVERADO EXTRA CAB LT! We're offering an Extra Clean, like new 2011 Chevy Silverado Extra Cab LT. Completely serviced from top to bottom, including a fresh oil change. 2 owner with a good Carfax so you can buy with complete and total confidence. Powered by the proven 5.3L Vortec Engine, so you have all the power you want and get great fuel mileage too. All Power on the Inside, Keyless Remote Entry, Tilt Steering, AM/FM/CD/AUX Radio, Undercover Bed Cover, Spray-In Bed Linner, and Much Much More. 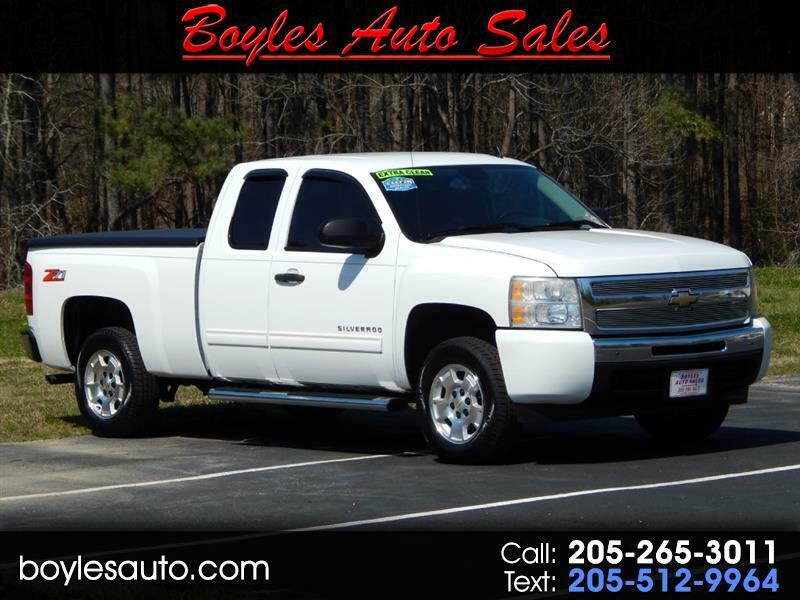 Make the short drive to Boyles Auto Sales and and take this 2011 Chevy Silverado for a test drive today, You'll be Impressed! We offer Bank and Credit Union Financing with Low Low Rates, so you're sure to drive it home today. Call Randy at 205 269 3196, or Scott and Tucker at 205 265 3011. Vist us online at boylesauto.com to learn more about this truck, or to submit a credit application for faster financing.Thank You for Looking.